This topic contains 9 replies, has 10 voices, and was last updated by c2h5oc2h5 2 years, 3 months ago. With the recent launch on PlayStation 4 and PS Vita, Darkest Dungeon has now sold more than one million copies. We remember reading this article from Yacht Club Games, makers of the amazing Shovel Knight and appreciated their transparency about hitting 1MM copies. So this is a gesture to continue what they, and other developers, started. More than anything, though: WE THANK YOU! Darkest Dungeon is on sale on a variety of storefronts: Steam, PlayStation Network, GOG, Humble Store, Apple OSX App Store, CDP.pl, SoftClub, Nuuvem. Early Access was done only on Steam, and launched February 3, 2015. Sales were extremely strong right off the bat–we did over 50,000 copies in 24 hours, which definitely resulted in a lot of stunned faces around our office. Full release for PC and Mac occurred on January 19, 2016 and brought the game also to GOG. PlayStation 4 and PS Vita versions only launched on September 27, 2016. Sales have been decent so far (approximately 50k copies worldwide), but the recent launch accounts for the reason why the platform only represents a tiny amount of our cumulative sales to date. We do have some charts to share! 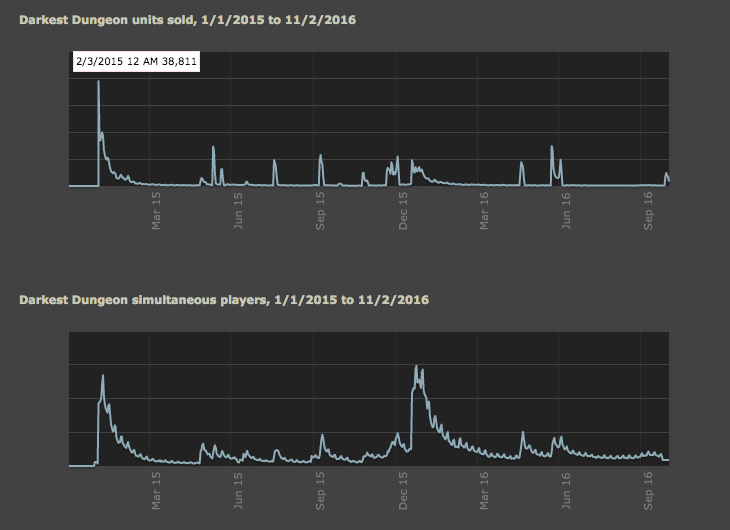 First is our sales chart (top) and our concurrent users (bottom) on Steam since our Early Access launch. As you can see our EA launch was incredible! But something that we are proud is that our peak concurrent users happend on our full release on Jan 19th. While our full release wasn’t as high of a peak as our EA release, you can see a really solid sale period (Steam Holiday Sale) leading up to the release in January. 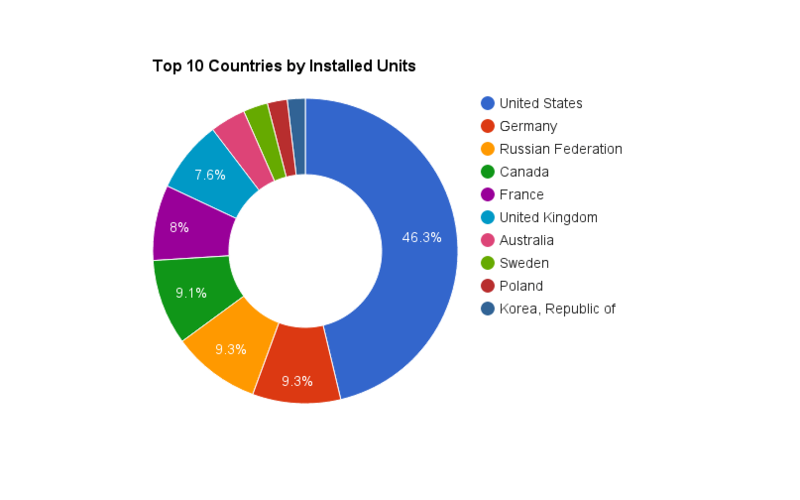 While the majority of our sales come from the United States, there are many regions in which our game has done well in. 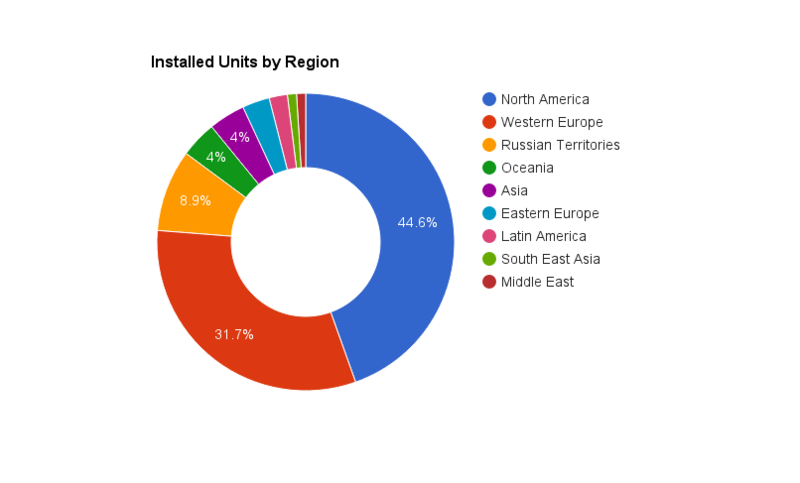 This is in part why we pushed hard to localize the game in 7 languages at launch, and plan to add more in the future. Random Factoid: Per SteamSpy, the average owner has played 27 hours of Darkest Dungeon. 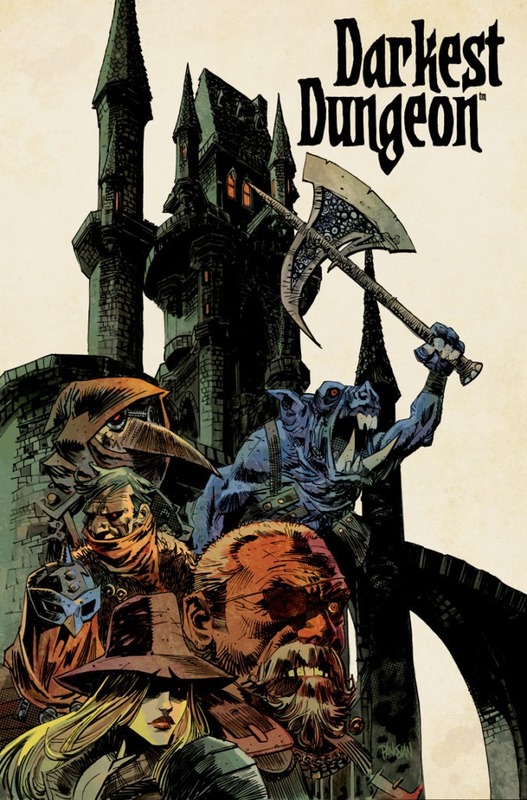 In 2013, we broke ground on DD because we were intensely passionate about the idea, and hoped that a robust but niche RPG audience might find it interesting to embark on a merciless and dark exploration into what it truly means to be a hero. It would be an RPG about the sword arm, not the sword. Only in our wildest dreams would the game find an audience of the size that it has. Our goal was always to make the game without diluting our original creative vision, and then let it succeed or fail based upon its own merits. We are beyond happy that people have found it captivating. From the first announcement and release of the “TERROR AND MADNESS” trailer through the recent PlayStation launch, we have been excited to see the game resonate. Thanks to your support, and the game’s success, there are some exciting things ahead. As you might have seen, we recently announced the first DLC, “The Crimson Court”, coming in early 2017. Steam Workshop support has long been on our to-do list, but we needed to finish the core game before doing it. Official modding support is coming! We can’t wait to see what the community comes up with. Other platforms that might be a fit for DD are high on our list. Tablet immediately comes to mind; as it turns out, we accidentally designed a pretty cool touch interface from the beginning! Other console and handheld devices remain interesting as well, and we’d like to get the game to as many potential fans as possible. Official Merch, starting with our final Kickstarter rewards (Art Prints, Art Books, Dioramas) is high on our mind. We have some things in the pipe already, but we invite interested partner companies to propose co-productions at the business inquiries line in the signature block of this post. 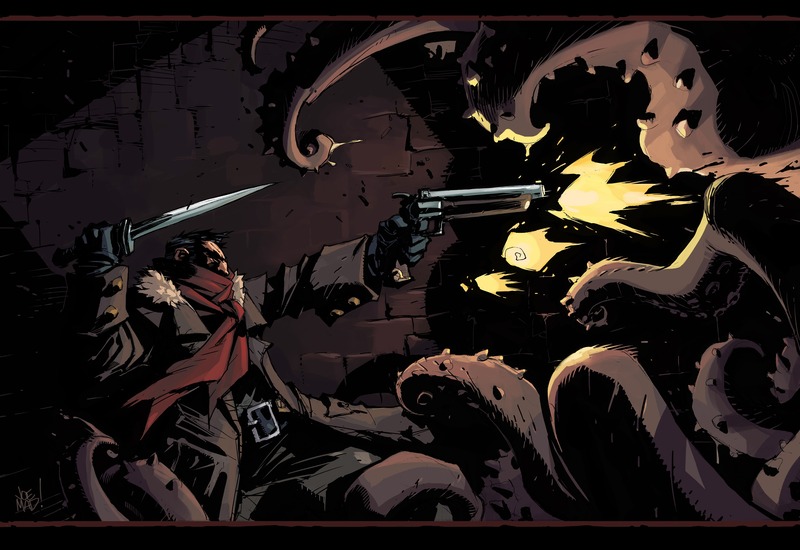 Last, but not least, we can confirm that Red Hook will most certainly be making another game. “Game 2” hasn’t begun production yet, and this in no way means that we are done supporting or adding to Darkest Dungeon. But as long as you keep supporting what we do, we want to keep making things for you! It is not hyperbole to say that we are doing our dream jobs, and we love what we do. We also specifically love Darkest Dungeon, despite the fact that we, too, sometimes lose our favorite heroes and want to destroy our keyboards. We get Afflicted from time to time during development, though we aren’t quite ready to share with you what each of our predominant Afflictions are! We want to extend a special thank you to our Kickstarter and Humble Widget backers. Without you, this game simply could not have been made the way it was. Although we have now delivered on the vast majority of rewards, we still have our prints, dioramas, and art books to make–and we are ridiculously excited to start manufacturing of those soon! Stay tuned for details. We are working on them. We would also like to thank so many wonderful people and organizations that were involved in helping us get to this point. Here are a few, but the list is by no means complete: dear friends at IndieMegaBooth, Valve, Sony, Humble, GOG, Apple… we began listing all the other independent developers that we owe thanks to, but the list was getting super long and we still are afraid of forgetting people that have been incredibly important and helpful. So let’s make the thank you general and widespread: if you know us and have helped us, you know what we are thankful for. Also I’m glad, that your game has sold 1 milion copies already. I love when good game developers achieve something. Your game is as inspiring as it is grueling. It is one of my absolute favourite games, and indeed, pieces of art I’ve ever had the pleasure of experiencing. I’m so glad that you and your studio will be able to build on this success and continue to make games. I’m excited to see what you come up with! I don’t have many regrets in my life, but one of them is certainly that I didn’t take the chance to back you with as much money as I could afford during your Kickstarter. I’m looking forward to the future, The Crimson Court, and perhaps trying my hand at modding. It would be amazing to contribute, if even just a little bit, to this astounding game of terror, madness and sweet, hardwon success! since that when you have all the ancestors items, all the heads you kinda run pass those awesome monsters (but of course if you lose some of them by dead heroes and want those items back) and i feel it is sad cause it’s a freaking challenge every time, it is end game potential, and it’s funny to build up a group minmaxed in the purpose of hunting those monsters.. I love this game to death … but what and why I’m missing here. I dont see any “SALES BREAKDOWN” here in Europe, not on PSN, not on MacOS. I own the game on PC, but wanted to check out this platforms as well…so again, what do I miss regarding this sale event?! I could on the receiving end of those “Thanks” twice, as I bought the game both for PC and PS4. I am the one to be grateful for such, SUCH a marvelous experience. THANK YOU, it´s been an awesome ride. And I expect more. Note: I still make impersonations of Wayne June while driving by myself to work. Such a great game- you guys deserve every sale that this game has generated!! "I'm suspicious of the dreams I cannot remember, the words only others can hear." I would love to see a DS version of this game! I’ve played plenty on the PC and love it, but i’d very much enjoy being able to play it easily on my DS on the train in and out of work, at lunch ect, its a game i feel i could play for years to come. 3DS release would be cool, but I’m also wondering if we have a chance of seeing DD on Switch? It could work really well: game could be conveniently played both on the go and on a big TV screen, all using the very same device. Android release would help playing while on the go, however I really appreciate how convenient is playing games on a dedicated mobile gaming console since I’ve bought 3DS :).